Innovation flourishes in an environment where everyone has a voice and equal opportunity to make a difference. We believe a diverse and inclusive culture with people of different backgrounds, thoughts and ideas is instrumental in finding the most creative and effective solutions to the toughest cybersecurity challenges organizations around the world face today. Through strategic partnerships emphasizing STEM, inclusive recruitment practices, outreach focused on primary education, university/new grads and career professionals, and training and communication efforts, we strive to make a positive impact on our workforce, workplace, and marketplace. Several initiatives, including our Women's Networking Community, Veterans Network and University Recruiting, help to ensure we continue to cultivate a broad base of diverse talent. Read more about our inclusion and diversity efforts on Palo Alto Networks' Culture & Diversity Blog. 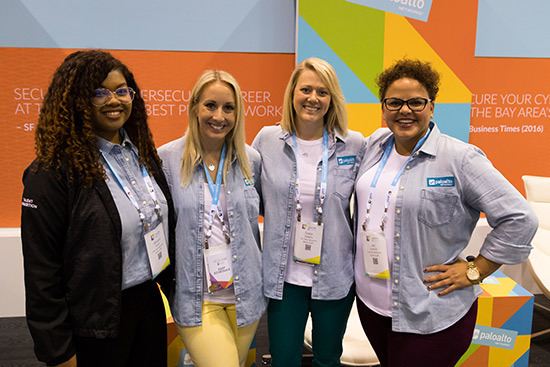 Our Women’s Networking Community (WNC) provides career development and networking opportunities for the women of Palo Alto Networks and beyond. The WNC, which is more than 300 members strong (and growing), was founded by a team of cross-functional senior leaders. Through personal and professional development, networking and community involvement, the WNC connects, inspires, educates, and encourages women to become their best selves. Palo Alto Networks and the Girl Scouts of the USA have teamed up to deliver the first-ever national cybersecurity badges for girls in grades K-12. In September 2018, cybersecurity education will be introduced to millions of girls across the U.S. through programming designed to increase their interest in security and instill a valuable 21st century skillset. 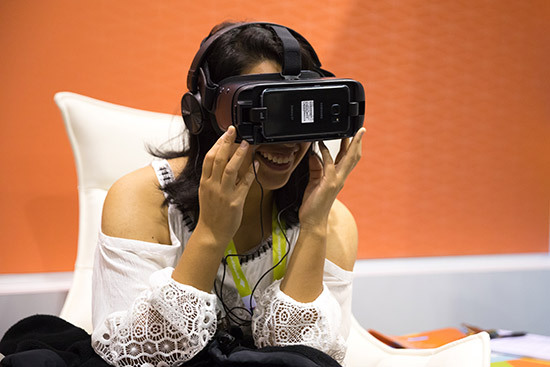 Through our partnership with the Anita Borg Institute, we sponsor the annual Grace Hopper Celebration, the world's largest gathering of women technologists. 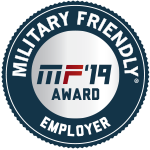 With over 18,000 attendees, the event provides opportunities to support our own employees' career development, as well as meet some of the best talent in the industry. Our goal is to create a workplace where people from different backgrounds, who hold a variety of perspectives and ideas, world views and experiences, bring their best selves to work in pursuit of our shared mission.